Formerly the Tropigala Lounge, which once played host to The Rat Pack's Frank Sinatra and Dean Martin, LIV is today a walking ground for only the most prestigious talent in dance music. 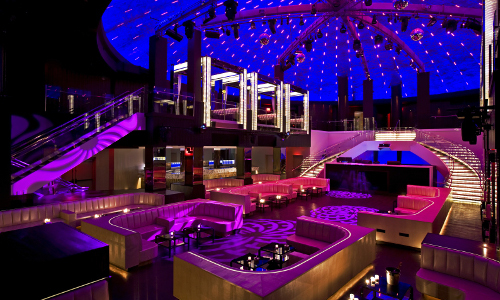 Situated within the lavish confines of the Fontainebleau Miami Beach Hotel, with its opulent host of VIP tables, private Skyboxes and enormous LED-lined super-dome, this club is one which only the highest of rollers on South Beach aspire to. With a Dynacord soundsystem and a programme that encompasses only the universe's shiniest stars — EDM through to r&b/hip-hop and everything in between (aka trap) — they do not come more sensational than LIV.